As the leading Animal Reiki educator in the country for the last several years, Kathleen Prasad is a silent but very powerful revolutionary in the field of holistic healing for animals. Her previous book, Animal Reiki: Using Energy to Heal the Animals in Your Life, co-written with Elizabeth Fulton, was the first to address this cutting-edge topic, and it remains the best. Kathleen's latest mission is to support animal-loving Reiki practitioners who would like to ease the fear, stress, anxiety, grief, and sense of aloneness and helplessness that is experienced by dogs, cats, horses, and rabbits who, for various reasons, no longer have a home of their own, and are confined behind bars. Most are scarred; virtually all are scared. With a scarcity of financial and human resources, shelters and sanctuaries are usually able to offer little more than kindness and the rudiments of physical sustenance to the creatures in their care. The animals' emotional and spiritual needs are mostly unmet. With other like-minded colleagues, Kathleen has founded the Shelter Animal Reiki Association (SARA), to not only teach an understanding of energy healing, but to provide a standardized approach to implementing professional Animal Reiki programs in shelters and sanctuaries, and to document the effects of this gentle intervention, not only on the animals themselves, but on the people who devote their days to caring for them. 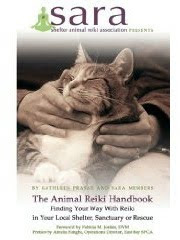 The Animal Reiki Handbook: Finding Your Way With Reiki in Your Local Shelter, Sanctuary or Rescue, is the group's down-to-earth primer on how to introduce the practice of Reiki into a shelter environment, and what to expect from both the captive cats and dogs and the volunteers and staff, many of whom will be unfamiliar with Reiki, and even skeptical of the usefulness of this modality, whose benefits flow unseen. According to The Animal Reiki Handbook, Reiki "can maintain health and well-being on the physical, mental and emotional levels, induce deep relaxation and stress relief, accelerate healing in sick or injured animals, or animals recovering from surgery, help reduce pain and inflammation, help reduce behavior problems and aggression, help animals heal from past mental/physical trauma, complement conventional and alternative therapies," and even "support the dying process." And perhaps most intriguingly, it is the animals themselves who control the Reiki treatment process, "taking only the amount of energy they wish to receive." The challenges of bringing Reiki into a shelter environment are formidable, and The Animal Reiki Handbook addresses them with realism and compassion. Not only are there noises and interruptions that require the practitioner to stay centered and calm, but there are aggressive dogs, terrified cats, and suspicious horses who may initially want no part of what they perceive as unwanted and even threatening intervention. And in certain shelters, there is always the possibility that the animal who is receiving a Reiki treatment today may be euthanized tomorrow. The Animal Reiki Handbook deals with all of these situations with grace, and ultimately, with a gentle reminder to the practitioner that, "You are there to create a healing and harmonic energetic space, not only for the animals, but also for anyone and everyone who is within that space and open to healing." It is wonderful to contemplate how the quiet clarity of those called to work in shelters or sanctuaries as Animal Reiki volunteers will truly transform the lives of everyone within the range of their healing intent. 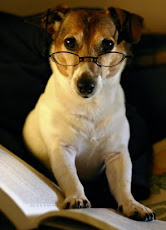 The next "Conversations with Animal Authors" teleconference will feature Kathleen Prasad of Animal Reiki Source, who will discuss her new book, The Animal Reiki Handbook: Finding Your Way with Reiki in Your Local Shelter, Sanctuary or Rescue, during a free hour-long call-in event on Monday, August 31st at 9:00pm (EDT). Kathleen Prasad has been a full-time Animal Reiki teacher since 2002. 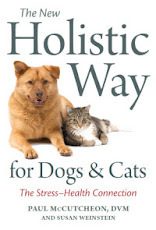 In addition to The Animal Reiki Handbook, she is the co-author of Animal Reiki: Using Energy to Heal the Animals in Your Life, and has written many educational articles on animals and Reiki for holistic publications around the world. 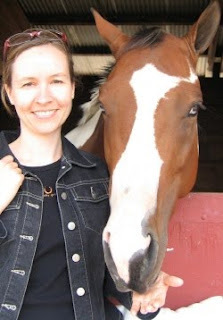 Kathleen's work has been featured in The Journal of the American Holistic Veterinary Medical Association, Animal Fair, The Whole Dog Journal, Dog Fancy, Animal Wellness Magazine, Equine Wellness Magazine, and Natural Horse Talk Magazine. From my own experience as a student of Kathleen's I can attest to her compassion and effectiveness as a teacher of how Reiki can be used to help and heal animals who are experiencing pain, discomfort, stress, or illness, or who are approaching the end of their lives. Kathleen's quiet presence unfailingly radiates a feeling of peace to both animals and people. If you would like to learn more about Animal Reiki, and about the Shelter Animal Reiki Association, you can join the call by dialing 616-347-8100 and entering PIN #1063739. Long-distance charges may apply. If you can't be on the call but would like to hear the interview, I'll be posting a link to the audio within a few days after the event.